Help local domestic abuse survivors and their children this holiday. Give by December 31 to save on your 2018 income taxes. 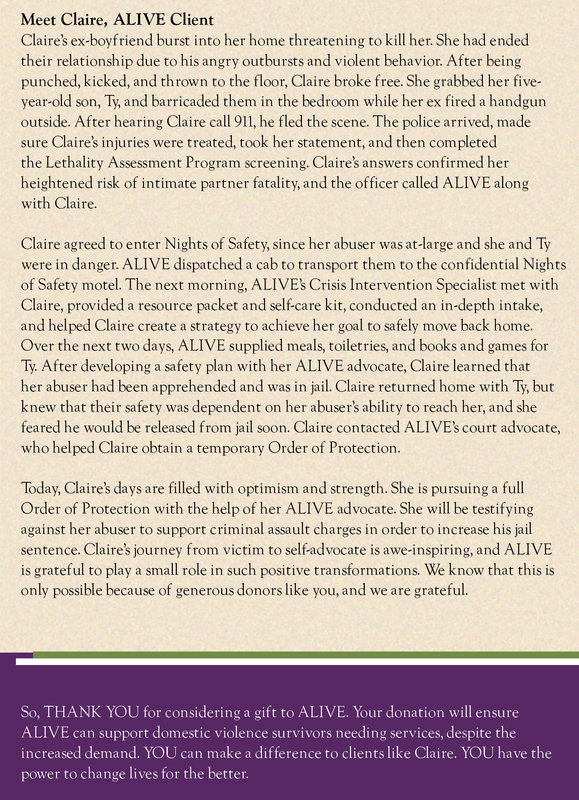 Your gift empowers families like Claire's to build healthy, hopeful, happy futures. The need has never been greater. The Nights of Safety emergency shelter growth rate during ALIVE's current fiscal year is alarming--8,425 Nights of Safety were utilized in just six months. At this pace, ALIVE will provide 16,850 Nights of Safety this year, over three times that of last year. That's where you come in: your donation ensures that area every domestic violence survivor needing support can access it, despite the historically high service levels and related expenses. 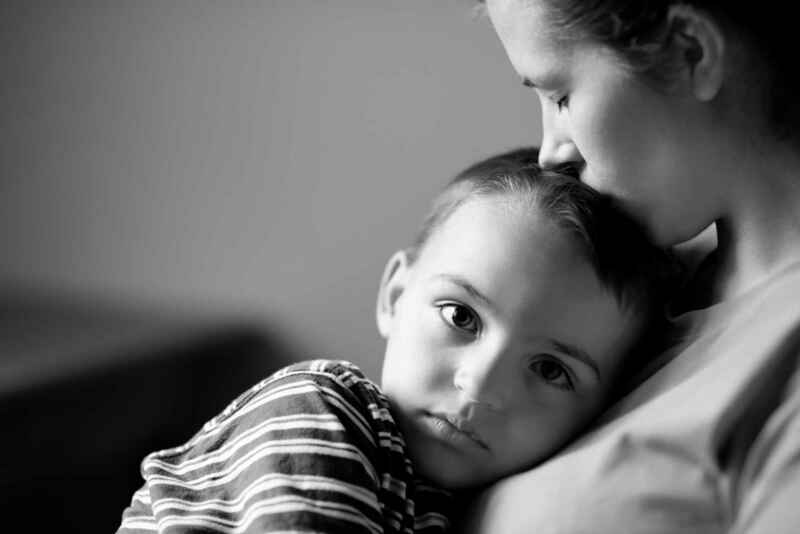 In addition to supporting Nights of Safety shelter, donations help domestic abuse survivors and their children access safe emergency transportation, counseling, court advocacy, and other support. Learn more about ALIVE's programs and how you can help at www.alivestl.org. Donations of $100 or more per calendar year may be eligible for Missouri Domestic Violence Shelter Tax Credits worth 50% of your donation amount. Please consult your tax advisor for details. I want to support your work in every way that I can. I'm grateful for the work that you do in our community. Thank you.